The Shops at Blanchard Crossing is an upscale lifestyle center as a part of the Blanchard Crossing Commercial Development. The Center includes two buildings with approximately 20,000 square feet, 8,400 sf of which is currently available. The anchor tenants include Mazzio's Pizza, Boomerang Diner, Sonic Drive-In, ACE Hardware, physical therapy clinic and a dentist office. 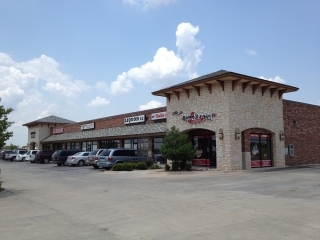 This area is the premier retail corridor in Blanchard and is surrounded by numerous new neighborhood developments. Pad sites also available for ground lease, build-to-suit, or for sale.